come be amazed by the amount of space in this custom designed home in a quiet location!! truly a 5 bedroom if you don't need an office. so well cared for and freshened up by current owner! gorgeous updated & spacious kitchen w/ ss appls & cherry cabinets! separate dining room w/ access to deck! bathrooms remodeled/updated. truly room for everyone to find a place to call their own! living room w/ large bay window, and ll family room w/ brick fireplace. rec room for play or exercise! fenced backyard with mature trees make spending time on the deck or patio private & relaxing! there is fresh paint, new windows, newer furnace, a/c & water heater!! enjoy the views of both the sunrise & sunset. close to park & trails & schools! 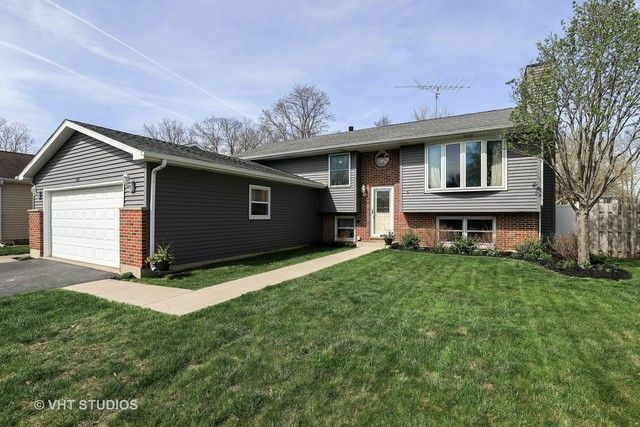 470 Merrill Ln, Grayslake, IL 60030 is a 3 bathroom, 1,484 sqft single-family home built in 1985. This property is not currently available for sale. 470 Merrill Ln was last sold on Jun 22, 2018 for $255,000 (0% higher than the asking price of $255,000). The current Trulia Estimate for 470 Merrill Ln is $250,296.